This is the film that defines the season. In the trifecta of famous 70's–80's serial-killer slasher flicks—Halloween, Friday the 13th, and Nightmare on Elm Street—Halloween is undeniably king. From the dreamlike steadicam to the moody lighting to the iconic soundtrack, it's hard to imagine that this landmark horror film was made on a tight budget of only $325 thousand. 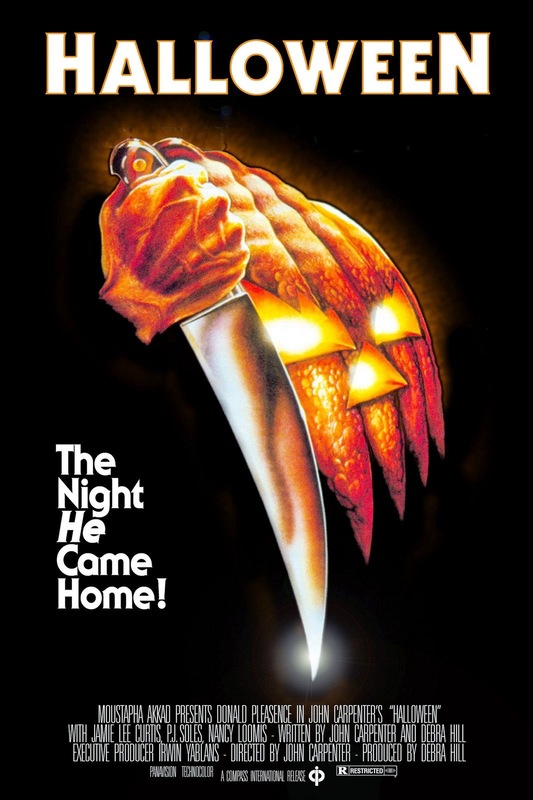 Nevertheless, it managed not only to establish the career of John Carpenter, then a young independent filmmaker, but to live on to maintain its influence on the genre over 35 years later. But while it made a big splash with popular audiences, earning back more than 200 times its original budget, it wasn't immediately received well by critics. The film was initially panned as simple, derivative schlock, until being selected by Roger Ebert as one of his top 10 films of the year. Soon after, many critics went back and reconsidered their first opinions of the film, looking at it in a new light. It stands today as a cult classic and one of the genre's greatest films of all time. Originally titled The Babysitter Murders, Halloween follows a night in the life of the innocent young Laurie Strode (Jamie Lee Curtis) as she and one of her friends look after two local children (their parents presumably out partying). It was Curtis's first role in any film let alone as the lead, and Carpenter chose her not only for her natural charisma, but also because her mother Janet Leigh starred in Alfred Hitchcock's Psycho, one of Carpenter's strongest influences. Then Michael Myers comes on the scene, played by a variety of different actors and crew extras hidden under a white William Shatner mask and a blue jumpsuit. Myers's presence in the film is enhanced by cinematographer Dean Cundey's tendency to linger on shots longer than you might expect. In a wide shot of Laurie walking down the sidewalk—a perfectly normal, everyday situation—Myers quietly intrudes on the frame and stands watching her. This type of scene is never accompanied by sudden movements or loud noises; instead, the creepy atmosphere emerges naturally as Myers violates the scene with his presence and we feel the urge to shout at Laurie or run away ourselves. Halloween is first and foremost an atmospheric horror film, relying on its continuous sense of dread more than any one moment. And of course the real horror comes not when some deformed monster jumps out of the costume, but when we see that Michael Myers is just a regular guy like any of us. Of course there are occasional moments when the film's monetary restrictions manifest on screen, and the countless imitations and parodies which have come out since it first hit theaters somewhat diminish the immediacy of the film's emotional impact today. But in spite of both its budget and its subsequent copycats, Halloween still remains the king of all slashers. It's one of Carpenter's best, and the go-to film of the season. This time through the film, I watched it with Red Letter Media's new audio commentary, featuring series regulars Jay Bauman, Mike Stoklasa, and Rich Evans. The track is filled with tidbits of trivia, brief analysis of the genre, and some light humor. If you've seen anything from the Red Letter Media folks, you'll know what to expect. Not as thorough as the infamous Phantom Menace Review, but nonetheless it is occasionally insightful, generally interesting, and wholly entertaining.